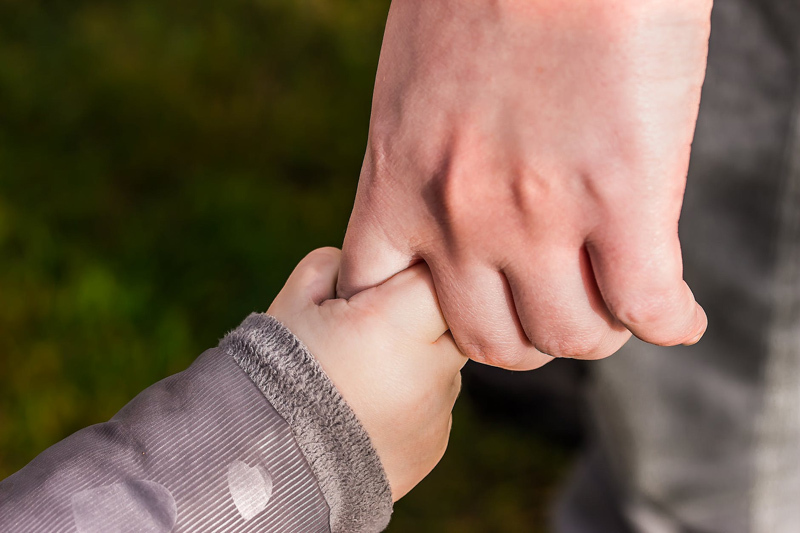 When a child with a disability is diagnosed, fathers have many of the same concerns and questions as mothers, often with many fewer resources or opportunities to ask questions or explore options. A great deal of this is similar to dads whose children are not diagnosed with anything ~ most men have not thought about having babies while they were growing up, or played with dolls and practiced the technical skills required to feed, change and bathe babies. One of the differences with fathers of babies diagnosed at birth or soon after is that most mainstream dads are given time and help in developing these skills; they are teased and applauded and given time alone with their babies to bond and to develop their sense of themselves as the father of one particular and precious baby. Many fathers of babies with special needs spend a great time learning more about their child's diagnosis than about diapers, feeding, or bathing his newborn son or daughter. There are often expectations that fathers will not 'give in' to emotions and will be able to carry on at work and at home, while mothers may specifically be offered help to cope with the special needs of the child and family while she is adjusting to the news - again, different expectations and support options are often extended to mothers. It can be forgotten that the emotions a man experiences when he first holds and starts caring for his newborn son or daughter include overwhelming attachment, joy, pride and awe. For mainstream dads, books about becoming a father that offer directions on practical caregiving skills and the technical details of babies become insignificant compared to being in physical contact with his infant child. Dads of babies diagnosed at birth may not have that contact and connection for weeks if the newborn stays in the hospital or requires nursing care. And sometimes, fathers feel responsible for finding out the most current information about the diagnosis without realizing that they should be demanding that one to one contact with their child, too. In childbirth education classes before my daughter was born, our instructor advised those who felt disappointed that they gave birth through C-section instead of an idealized 'natural birth' should take some time after the baby is at home to hold their babies closely and imagine that idealized birth experience instead. One instructor mentioned that any new mother could do this, because often the natural birth experience can be so far away from her ideal. I believe that fathers of babies born with special needs should have a second chance to experience ideal moments of new fatherhood, too. Eventually every father realizes that articles and books about a child's diagnosis are less significant than everything else that makes that particular baby unique and wonderful, and directly connected to him. Because support and information gathering is usually geared toward mothers, grandparents and other relatives on the father's side may be less informed and worry more about the significance of a diagnosis. They may also have fewer opportunities to bond with the new baby, and slower to develop their own opinions about the information they can find on their own. Mothers of newborns can feel vulnerable due to hormones and the physical experiences of pregnancy, labor and delivery, and may turn to her family for comfort; they may be especially sensitive to comments from the father and his side of the family even when a baby does not come with a diagnosis. Because any two people cope with a newborn differently, and certainly have a few extra concerns when a baby brings along a diagnosis, fathers of babies with special needs rarely have the same feelings at the same times as the moms, and may express those feelings differently when they come in sync. Fathers may have a tendency to consider practical matters, and may focus on planning the distant future and finding the best treatments or most qualified experts. This can be easily misinterpreted by mothers who are first looking for love, acceptance and celebration for their babies. Being the dad of a baby who has a disability can be difficult when the child's disability defines his identity differently from who he has always been - and continues to be. Some fathers make the decision to walk away from the family whether a child has a disability or not. It is despicable to excuse such behavior but common enough for extended family and friends to accept and even sympathize with the absent father. Men who remain committed to their family and a child with a disability may be admired and respected for doing so, as if being a good father is always optional. This can cause additional stress for both parents because it reflects an ugly prejudice about the worth of individuals with disabilities. Fathers of babies often laugh about the horrors of the first weeks and months with their children, but fathers of infants who have a disability may not have the opportunity to complain because of the sympathetic hush that follows the news of their baby's diagnosis. This should be squashed immediately, because babies with special needs are babies first, and most of the funny and terrible things they put us through are just like regular kids. It's a shame not to have an audience for those stories. Some hospitals, early intervention centers and advocacy groups offer a Father's Program for dads of children with disabilities. Every father of a newly diagnosed child should make at least one visit to a local group or regional conference, if only to check out the refreshments. I have found that the coffee, snacks, and other accommodations for Father's Groups tend to be outstanding, and organizers do find excellent resource people, caregivers, gadgets and information. It is often a great opportunity to chat with dads of older kids and meet their children, as well as having a receptive audience for funny stories about all their kids. It is also invaluable to discover the diversity of the community of fathers raising children with disabilities, including men from all cultures, races, and orientation; single or adoptive fathers; artists and scientists. Helping Parents Cope with a high risk birth - Terror, Grief, Impotence and Anger by Michael T. Hynan, Ph.D.
Is Ryan Gosling talking for you? Every dad should have a pair of Superhero Socks!